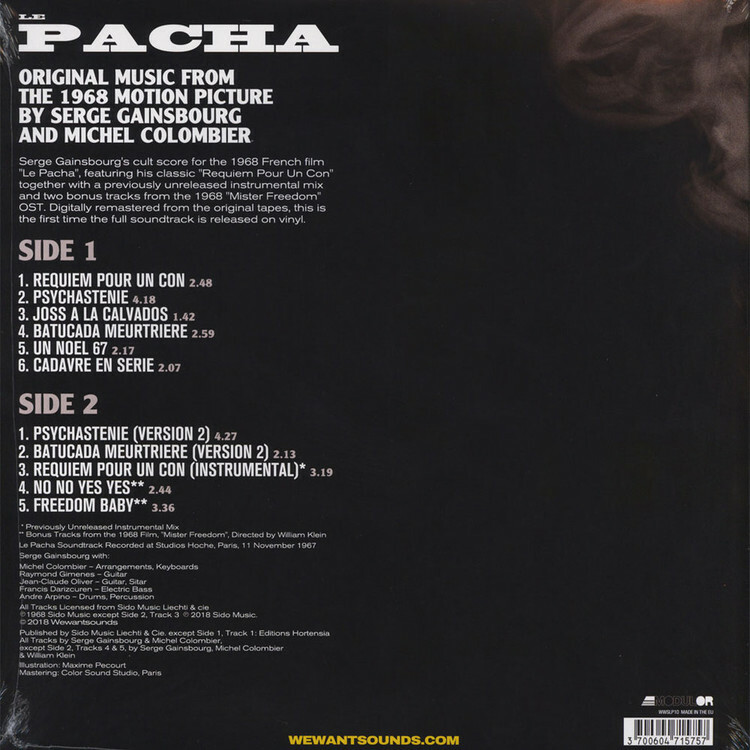 Serge Gainsbourg's cult score for the 1968 French film "Le Pacha", featuring his classic "Requiem Pour Un Con" together with a previously unreleased instrumental mix and two bonus tracks from the 1968 "Mister Freedom " OST. Digitally remastered from the original tapes, this is the first time the full soundtrack is released on vinyl in its entirety. 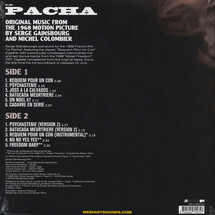 The LP edition, housed in a deluxe gatefold sleeve, will feature artwork by French Alternative Movie Poster Maxime Pecourt, full musicians line up and liner notes including an interview with bass player Francis Darizcuren who played on the sessions.